Together with his roguish friend, inspector Geordie Keating, Sidney inquires into the suspect suicide of a Cambridge solicitor, a scandalous jewelry theft at a New Year's Eve dinner party, the unexplained death of a jazz promoter's daughter, and a shocking art forgery that puts a close friend in danger. Sidney discovers that being a detective, like being a clergyman, means that you are never off duty, but he nonetheless manages to find time for a keen interest in cricket, warm beer, and hot jazz-as well as a curious fondness for a German widow three years his junior. 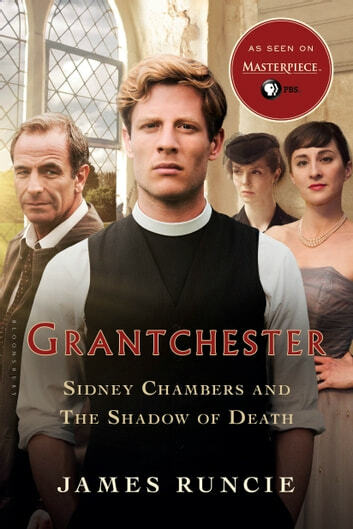 With a whiff of Agatha Christie and a touch of G. K. Chesterton's Father Brown, The Grantchester Mysteries introduces a wonderful new hero into the world of detective fiction. This is a series of short stories about the Canon of Grantchester, Sidney Chambers. These have been filmed for Masterpiece Mystery (except for the last two) and are not nearly as dark as the TV series. Easy and fun. I loved these short tales. Nice reads kept you turning the pages. Enjoyed the tv series but the stories more. Now I have faces to go with the descriptions in the book! Look forward to many more relaxing moments deep in thought with Sydney and crew. I did not realize this book was a series of short stories, but that turned out to be just fine. Think of it as a series of episodes from a TV show. The TV series is based on the Runcie books and the short story format probably lent itself well to that adaptation. Likeable character, interesting locations, perhaps a tad heavy on religious commentary. Sidney Chambers and the Shadow of Death. A delightful first in the series of the priest/sluth Sidney Chambers mysteries. Six easy reading but believable storys of crime in the 1950's that happens in the area of Cambridge.